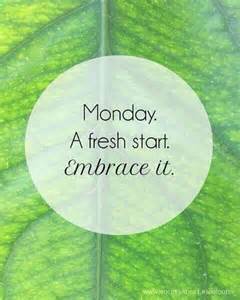 Are you making a fresh start in February? Is your story a little like mine? Despite the best of intentions, you put on a few pounds over Christmas and New Year. You then promise to reach the moon in five seconds flat inspired by New Year Resolutions time. Then February strikes and something went awry in January. Let’s spin that. It is a new month. February gives an impetus to make a fresh start on the healthy living front. It even has its own New Year! Let’s do this thing! Happy New Month and Happy New You! 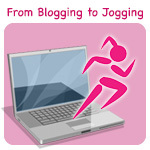 Let’s make the Blogging to Jogging linky rock in February. Blog about healthy living in a way that you see fit. It might be some exercise you did, a healthy food choice, a lifestyle change or a recipe. It is important to link back to this post so that we can all inspire one another as we move forwards positively. I am so looking forward to reading your talks of health, fitness and well-being. I promise to comment on each post and to promote via my social media networks. Please display the #bloggingtojogging badge on your post and it would also be cool if we can start engaging on Twitter and Facebook about our healthy living using #bloggingtojogging. I am up for this! Challenging myself to do some form of exercise every day in February… Weight not shifted much despite Dry January so need to up my game..
Good idea – great for everyone to have some support and motivation from others. & I think February is a much better month for goals and positive thinking than January – most people find January a bit depressing and draining! I did struggle a bit in January, time to crack into it this month! I’m hoping to get a Fitbit and start walking more. I would love to start running but I don’t think it’s for me. I have started getting my yoga on occasionally now though, so fingers crossed for some losses this month!